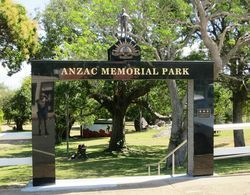 The ANZAC Memorial Archway at the entrance to ANZAC Memorial park was erected in honour of the 100th Anniversary of Gallipoli and is dedicated to all those who served in conflicts in which Australia has been involved. 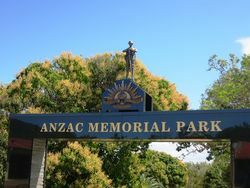 The project to replace the old archway received more than $34,000 funding through the ANZAC Centenary Local Grants Program. 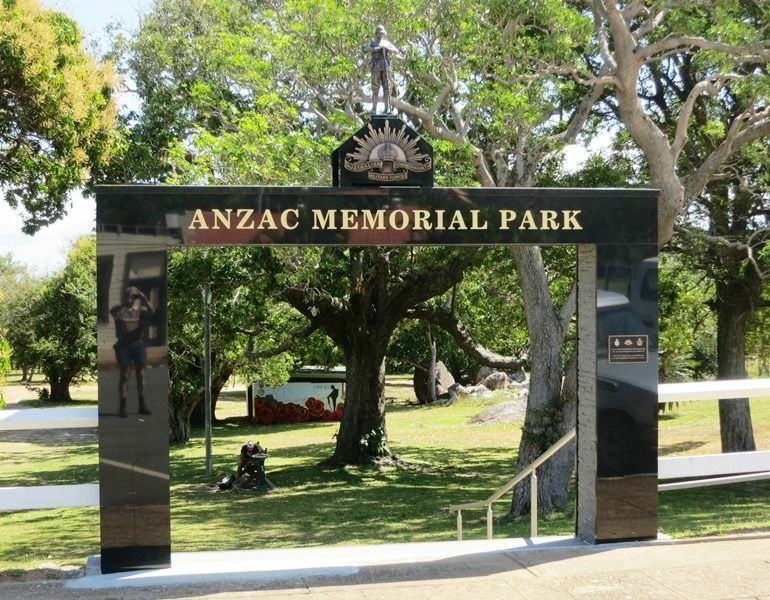 The archway features a black granite façade, steel columns, military crest and a base made from local stones, with a plaque listing the names of the soldiers who left Cooktown to fight in World War One. The archway is the first in Australia to feature a 61cm high bronze World War One digger statue and rising sun that was designed and created specifically for the Centenary. 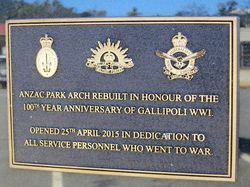 100th Year Anniversary Of Gallipoli WWI. All Service Personnel Who Went To War.